The Arabian’s beauty and history inspire horsemen all over the world. Arabian horses have always held a mystic and are often regarded as noble. Beautiful, elegant and versatile, they are the most recognized horse breed in the world. Some of the West Coast’s most beautiful horses will be competing for this Class A show, which qualifies Regions 3 and 4 for regional and national championship shows. 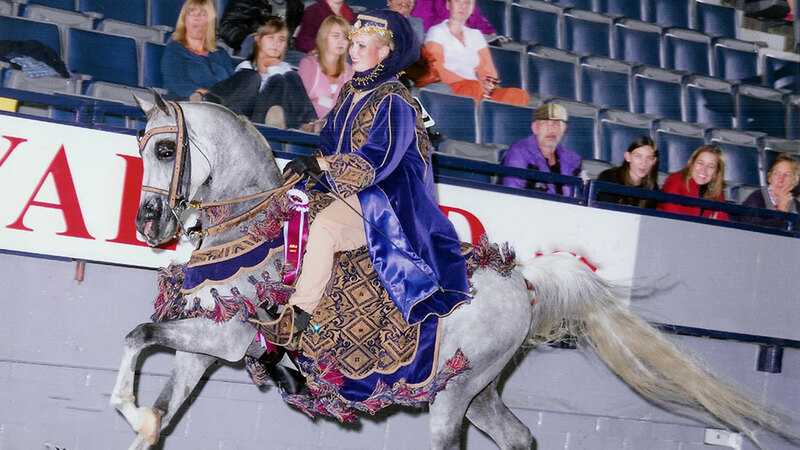 Arabian and Half-Arabian horses in a variety of classes, including western, English, hunter, sport horse, halter, sidesaddle, native costume and more. Admission and parking are free, and families will enjoy watching these beautiful animals compete. Sanctioned by the Arabian Horse Association. The Arabian is the oldest purebred in the world and foundation horse for many modern light breeds including the Thoroughbred, Quarter Horse, Morgan, and American Saddlebred. Written documentation from more than 3,000 years ago verifies that the Arabian horse is essentially the same today as it was then. Some of the best Arabian horses are bred in the United States.